Xylan® coatings are manufactured world-wide by Whitford Ltd and offer a range of coatings designed for the modern industrial world. The production of Xylan® coatings is supported by a well maintained team of chemists, researchers and application specialists based around the world, ready to provide technical back-up in response to questions relating to the Xylan® coating range. In some circumstances Whitford Ltd will make available their own personnel to visit a customer’s site to discuss issue at first hand. The manufacture of Xylan® coatings consists of quality ingredients according to the appropriate formulation of the end product which receives quality checks throughout the manufacturing process. Samples of all manufactured batches are retained for future reference and documented evidence of the process cycle is also retained. Whitford Ltd believe that the way to a better product is to start with a specific problem, then create a product specifically designed to solve the problem. Their business is solving problems. Therefore the demand for Xylan® coatings will take care of itself. To date, the Xylan® product development continues to resolve both singular and combined problems of friction, non-stick and corrosion resistance and can be formulated to solve the combined problems of friction, corrosion, wear and lack of release. One reason is that such coatings can be adjusted endlessly to correspond to the precise demands of different problems. Currently the range of Xylan® coatings are contributing to finding the solutions to industrial coating performance issues, such as in automotive, oil and gas, moulds and aerospace. Such coatings are designed for low friction, outstanding release, superior resistance to wear and abrasion, extensive resistance to corrosion and chemicals, a wide operating temperature range, UV stability, thermal stability, pliability, machinability, outstanding adhesion to most substrates. 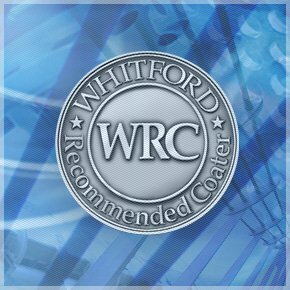 Whatever the requirement or problem, Whitford probably have the right product to solve the issue, if not, PTFE Applied Coatings will welcome the opportunity to work closely with customers and Whitford to develop a coating that will.